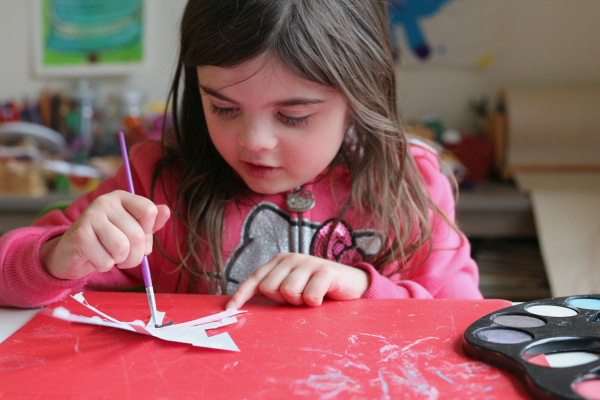 My six year old loves doing crafts, but it’s not every day that she wants me to share them with the world. I respect that. She and her brother have helped me share my ideas for almost nine years here on No Time For Flash Cards and I try my best to keep my promise that they only participate when they want to. 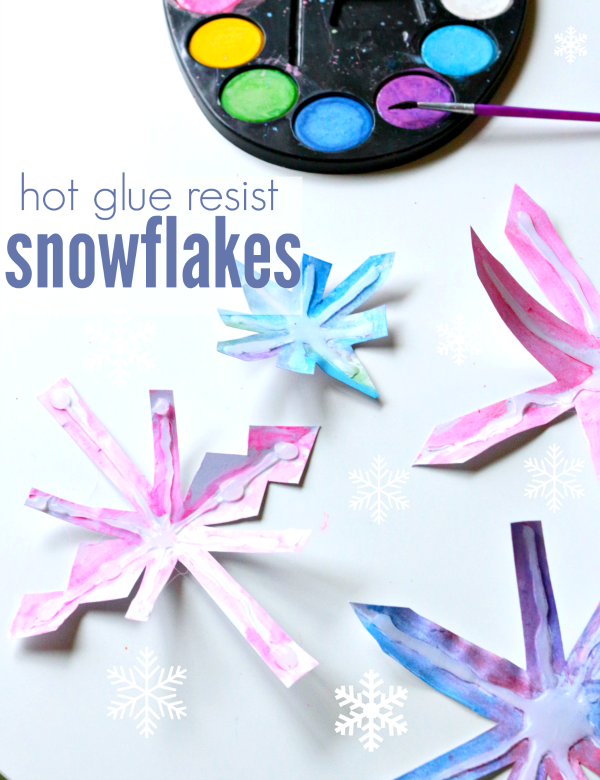 This glue resist project is one snowflake craft she was eager to share. 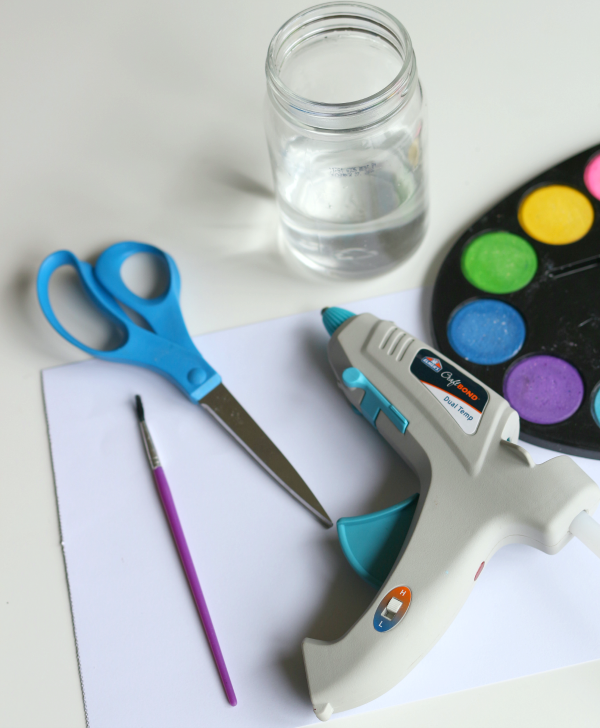 As a first grader, I allow her to use the hot glue gun set on low temp, I got this glue gun free from Elmer’s when I worked with them on another project, but it would be my favorite even if I paid for it. It’s cordless, and you can choose between low and high temp! 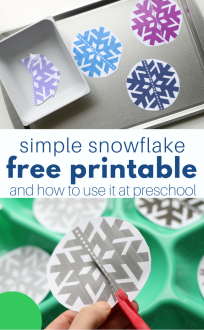 If I were doing this project in my class of preschoolers, I would do the first two steps at home and bring in the snowflakes for the preschoolers to paint during free choice. 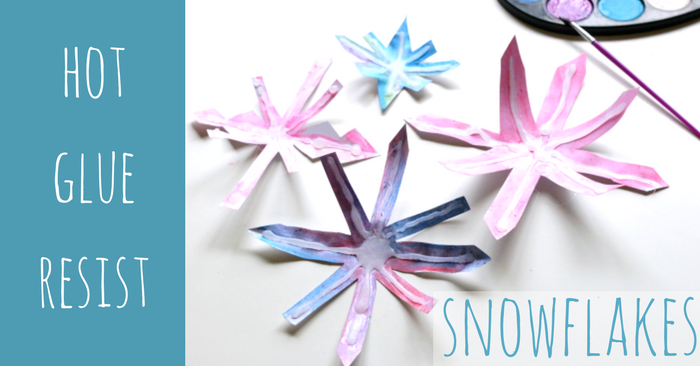 Hmm… not a bad idea, maybe I’ll do that tomorrow! Gather your materials. 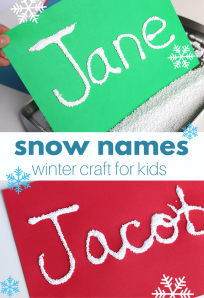 You will need some white card stock, water colors, brushes, a jar of water, a hot glue gun with glue, and scissors. 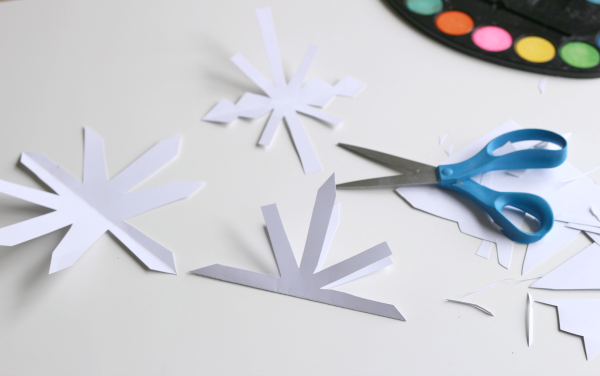 Start by cutting out snowflakes from the card stock. I just folded it in half and cut out five branches from the center. 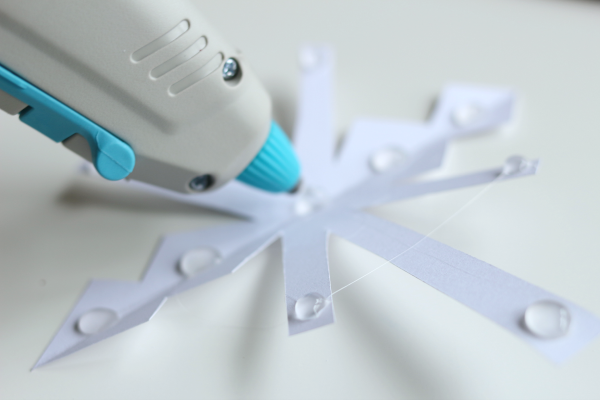 No two snowflakes are supposedly the same so don’t fret about perfection. Time to add the hot glue. I had done a few before my daughter was even home from school. 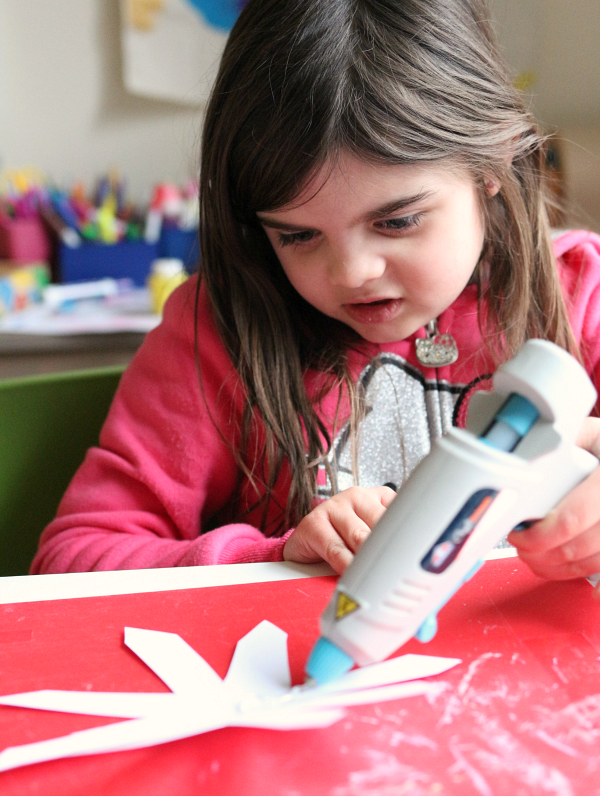 Then she had a turn with the hot glue gun. 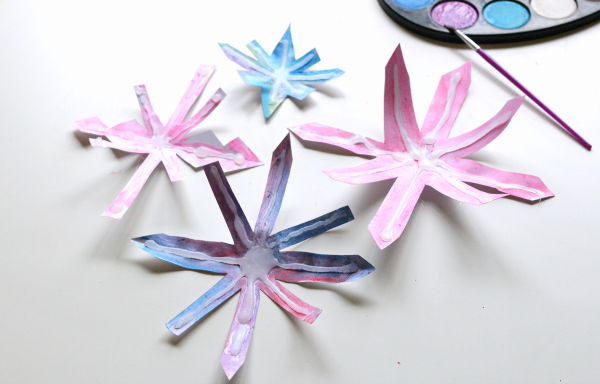 Let the glue dry completely and add some paint! 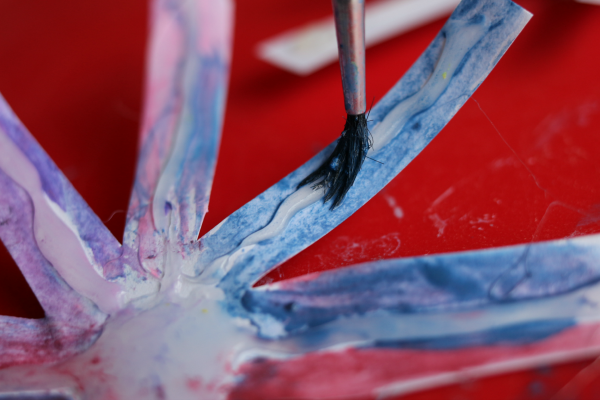 Sometimes the water color does cover the glue, but a quick wet paint brush over it will take care of it. 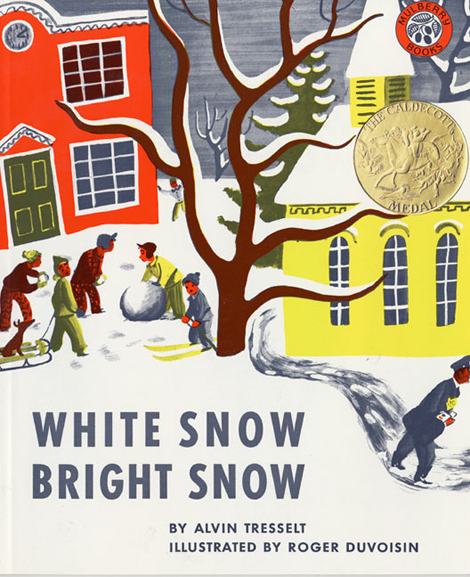 White Snow, Bright Snow by Alvin Tresselt is a total throwback to another time, and it”™s awesome. I love books that haven”™t been updated because they offer readers a chance to go back in time and get a glimpse of the past. 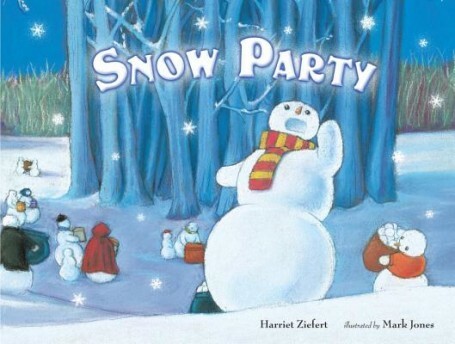 The story is about a town expecting a snow storm and how it”™s different residents prepare and deal with it. The animals, adults, and kids all go about it very differently. The character that stood out for me was the policeman”™s wife who doted on her husband and cared for his cold with a mustard plaster. I told you it was a total throwback! I didn”™t know they still used mustard plasters in the 40s, but that”™s why these books are such treasures for kids and parents alike. Penguin Dreams by Vivian Walsh is a crazy trip of a book. Both my son and I loved it, but it wasn”™t at all what I expected. I am not sure what I expected, but I”™ll summarize. The story is simply one penguin”™s dream. He dreams he can fly, and readers follow along as he flies through his clever and offbeat dream. 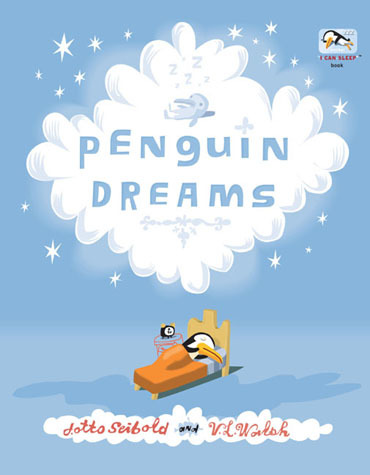 I loved thinking about whether or not penguins even dream and that thought had my son and I talking for quite some time before he drifted off to sleep. 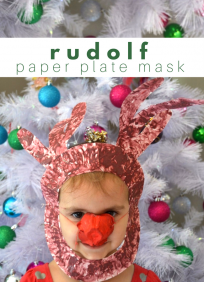 It”™s fun, it”™s weird, and it”™s perfect for creative imagination driven kids! Little Penguin’s Tale Audrey Wood is a funny cautionary tale about a curious and wild penguin. 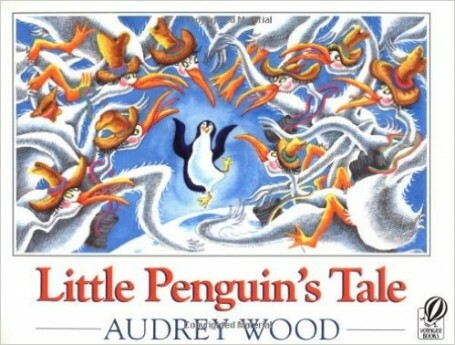 When the tale almost ends in doom and gloom, the narrator changes the end a little bit, so the readers and other little penguins aren”™t too sad. Still, the message is clear that you can”™t ignore the rules without some consequences! 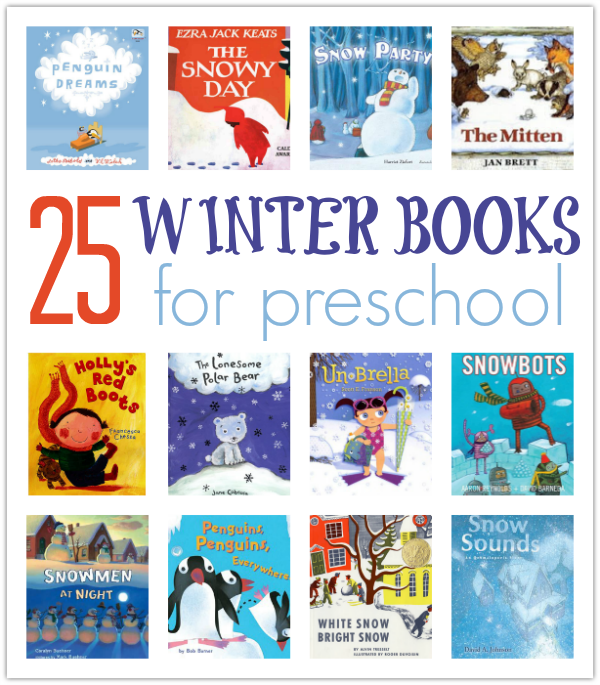 For 21 more great winter books for kids check out this post! To read the best books for early readers on Epic! 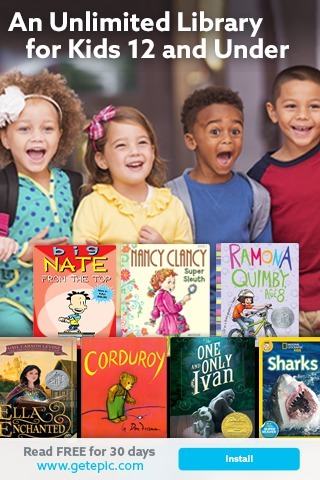 & get access to more than 20,000 amazing children’s books.